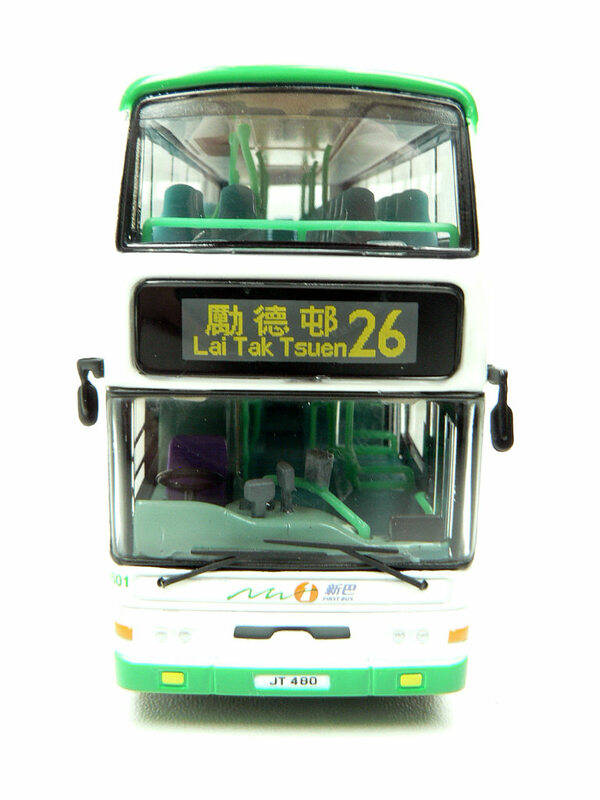 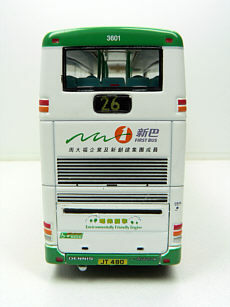 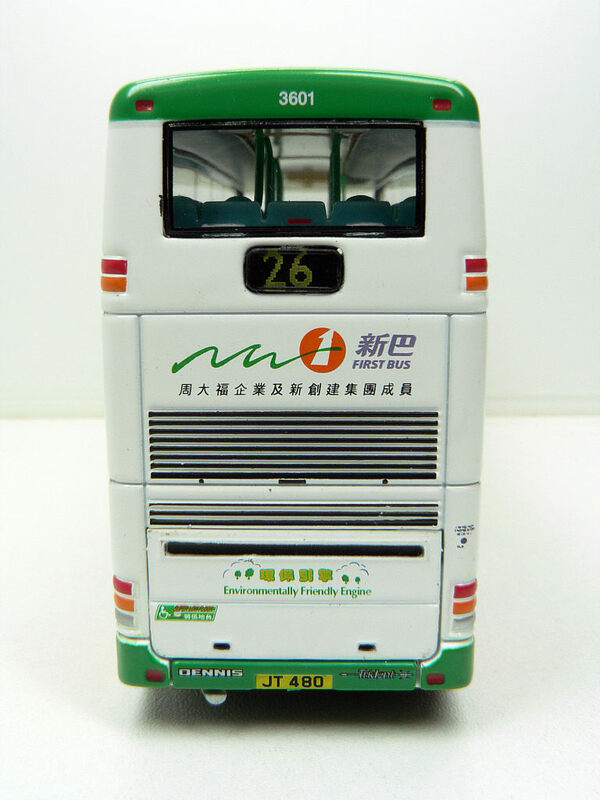 The model - this model was unveiled at the annual History of Hong Kong Buses Exhibition in August 2007. 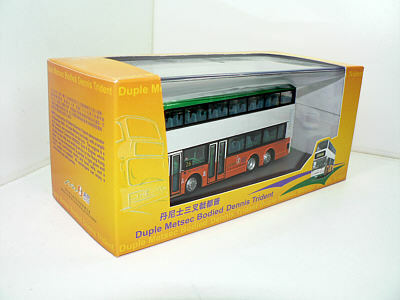 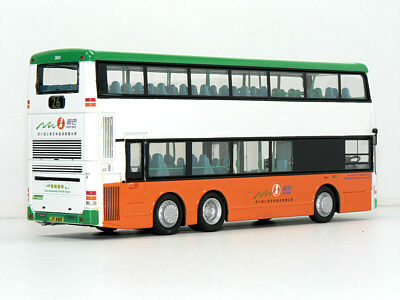 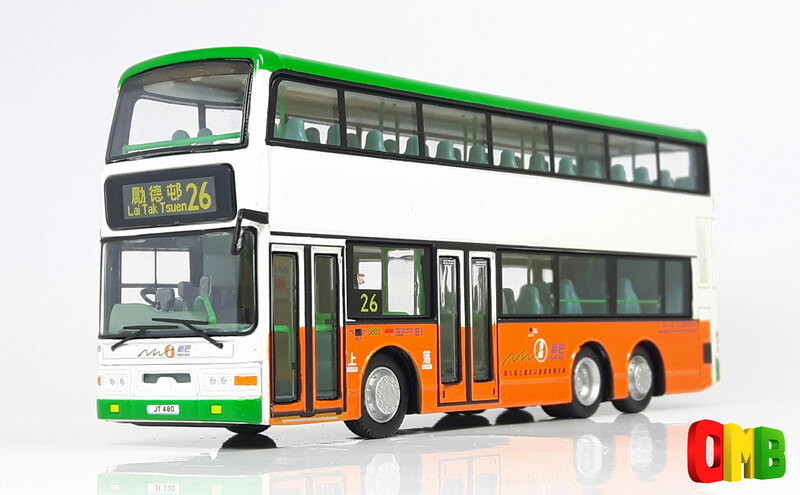 It follows the releases of the short Duple Metsec Tridents in both Citybus (39601) and Kowloon Motor Bus (92001) liveries. 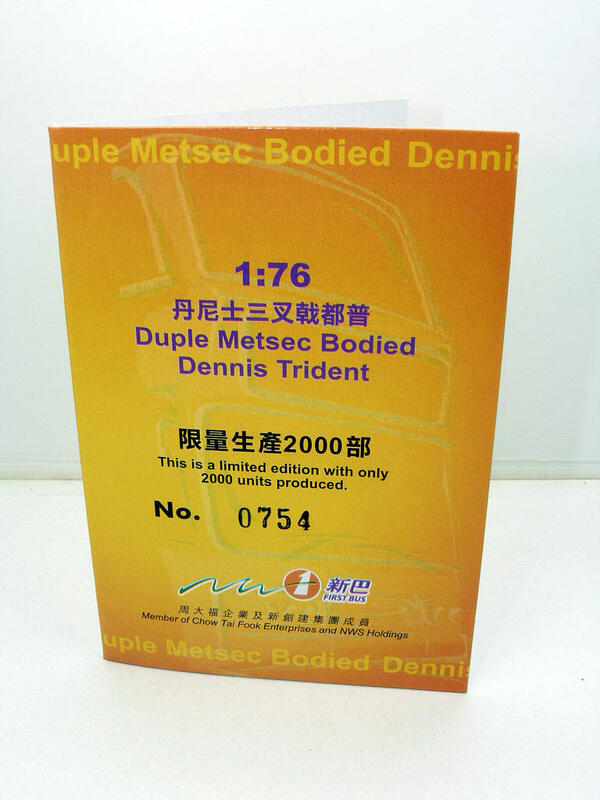 It receives the NWFB product code of 20021 as well as the 80M product code of 39602. The bus - New World First Bus 3601 started life as a demonstrator and it's specification is somewhat different to other Duple Metsec bodied vehicles in the fleet. 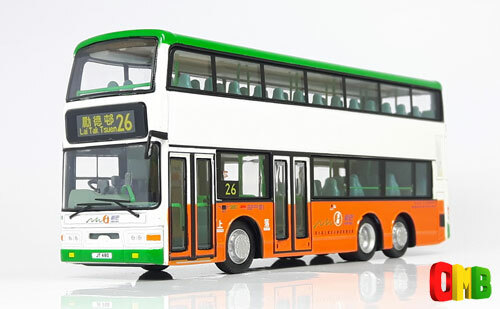 Most noticeable is the rounded headlights - these are normally rectangular. 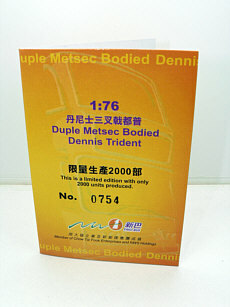 Details of where and when it operated as a demonstator are not known. 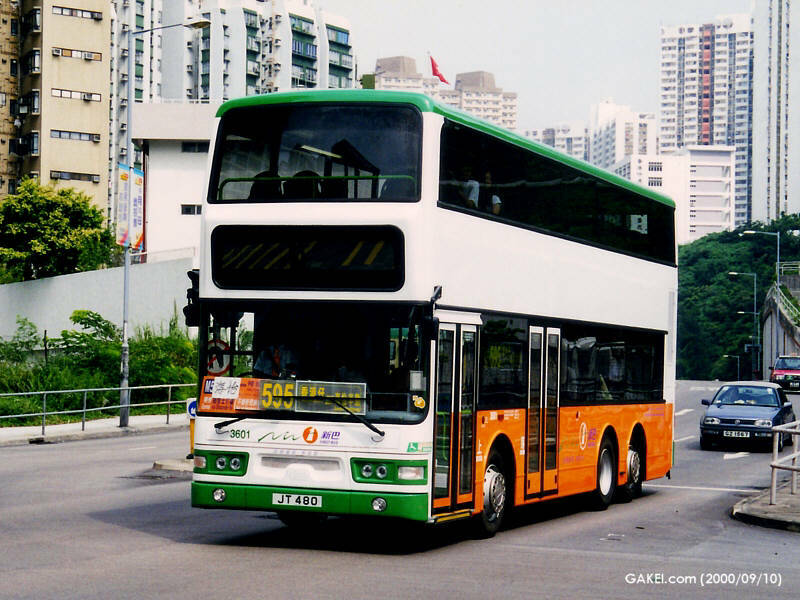 It entered service in September 2000 and could easily be identified at the time as the headlight/indicator surrounds were painted green. 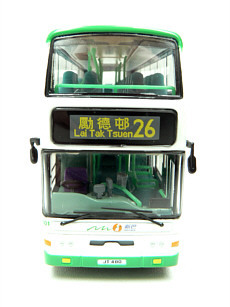 Photographs of the vehicle can be found on Gakei's excellent Hong Kong Bus Exhibition Centre website, just follow this link.